At CES 2019, TP-Link unveiled 7 new smart home products through it’s Kasa Smart product line. The products consisted of a video doorbell, wire-free outdoor security camera, an indoor security camera system, a light switch, an in-wall outlet, an outdoor plug, and an LED light strip. 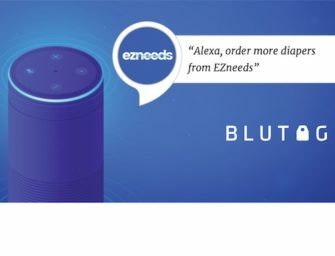 The products will be available throughout the first half of 2019 and are all compatible with Amazon Alexa and Google Assistant. The Kasa Smart Video Doorbell is very similar to smart doorbells we have seen in the past. It features night vision, a built-in microphone and speaker with noise and echo suppression, face detection, and up to 2-days of free video history in addition to Google Assistant and Alexa support. With the TP-Link Alexa skill and the Google Assistant action, users can access simple voice commands. No example queries were given, unfortunately. The doorbell is expected to be available in the first half of 2019. The Kasa Smart Wire-Free Outdoor Security Camera System is powered by a rechargeable battery. Users can buy a hub in addition to one, two, or three cameras to set up the system. The system is able to support 1080p HD live video, 2-way audio, night vision, as well as customizable motion sensitivity and configure activity zones. Users can access live recordings in the Kasa Smart mobile app, and the system can be supported by Google Assistant and Alexa. The same features are available for the Kasa Smart Spot Indoor Security Camera, which is expected to be released in Spring 2019 with an MSRP of $49.99. Home Security is not the only focus of the Kasa Smart products. The company announced four new lighting and control products at CES 2019: a smart Wi-Fi Light Switch, smart Wi-Fi Power Outlet, Wi-Fi Outdoor Plug, and a smart Wi-Fi LED Light Strip. With the power outlets, users can remotely control the power to any lights plugged in with the Kasa Smart mobile app, Alexa, or Google Assistant. The power outlet is expected to be available in February 2019 with an MSRP of $39.99. The smart Wi-Fi light switch enables any lights connected to the switch to be remotely controlled. It also has two built-in microphones with echo suppression and a speaker, with Google Assistant and Alexa built-in users can access their full capability from the light switch itself. Users can also coordinate remote control with other Kasa Smart products, meaning video detection of a family member on the doorbell could trigger the outdoor porch light to come on, for example. The LED light strip is two meters long and has eight individually controllable sections. Kasa Smart is a TP-Link brand that only produces smart home products. The brand has over 2.8 million users, according to their website. It produces smart home products ranging from video doorbells, indoor and outdoor home security, light switches, light bulbs, plugs, and accessories like extension cables. Kasa Smart products all feature varying degrees of voice command control enabled by Alexa, Google Assistant, or Microsoft Cortana. For example, the Kasa Smart Wi-Fi Power Strip has both Alexa and Google Assistant enabled voice commands enabling on/off control, while the Wi-Fi Light Bulb has integration of all three assistants and allows users to change the color of the light or turn it on or off with voice commands. If a user owns a Kasa Cam, they can also access the camera’s live stream from an Echo Show or Google Home Hub. Kasa Smart products are competitively priced as well. For instance on Amazon, the Philips Hue White Ambience Dimmable LED Smart Bulb retails for $23.99, while the Kasa Smart version of the same bulb is $19.99. Kasa Smart is an example of the shift larger businesses are taking to create brands centered entirely around developing smart home products. TP-Link has traditionally developed networking equipment, but it has found success by branching out into the smart home market. As of today, the Kasa Smart Home Alexa Skill, called TP-Link Kasa, is the highest rated Smart Home Alexa Skill according to Dashbot.io.